I’m taking a one post break from my Southern Tour to participate in a different tour: a Writer’s Blog Tour. It’s an interview, of sorts, about my blog and writing process. I generally don’t self-disclose all that much, because I don’t want to clog up the works with irrelevant details about me. I include what I think is relevant to the travel story, and that’s about it. But there actually is a person behind the History Tourist — Hi! My name is Susan and I am the History Tourist — and this gives me the opportunity to go beyond the travel and get a little bit personal. 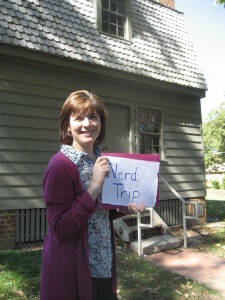 I was nominated by Sharon Boston, the writer behind Nerd Trips, one of my favorite blogs. She, too, writes about trips to historic sites, taking “the road less traveled to Presidents, Poets and other historic persons.” Sharon was once a television news producer, which is one of the interesting tidbits I got from her Writer’s Blog Tour submission. I can see how that meshes with being a history nerd. My husband and I just came back from a two week road trip down I-95 from DC to northern Florida. So I’m working on my “Southern Tour” series. I’ve got one more post about Charleston — a restaurant review — before I move on to Jekyll Island, Georgia. To the extent possible, I feature activities — things that I can participate in as a tourist. I went to Gettysburg to make the march across the battlefield that was part of the 150th anniversary commemoration of Pickett’s Charge. I sailed on a reproduction schooner for a War of 1812 reenactment. I applied to be a ladies maid in a late 19th century Chicago mansion. I try to do, not just see. But really, I think that finding a blogging niche — especially for those of us who do it for love, not money — isn’t about finding a unique characteristic to exploit. Just the fact that it’s about my experiences makes it different from other travel blogs with a history focus. Sharon of Nerd Trips, who nominated me for this tour, and the two that I’m nominating in turn — Meg of My DC Journey and Camille of Wine and History Revisited — write about touring historic sites. And we often write about the same place. But I’m a big fan of and follow their blogs because their stories are always very different from mine, and it’s fun to see how we can all start at the same place and end up going in such different directions. My love of history and travel have been with me for as long as I can remember. 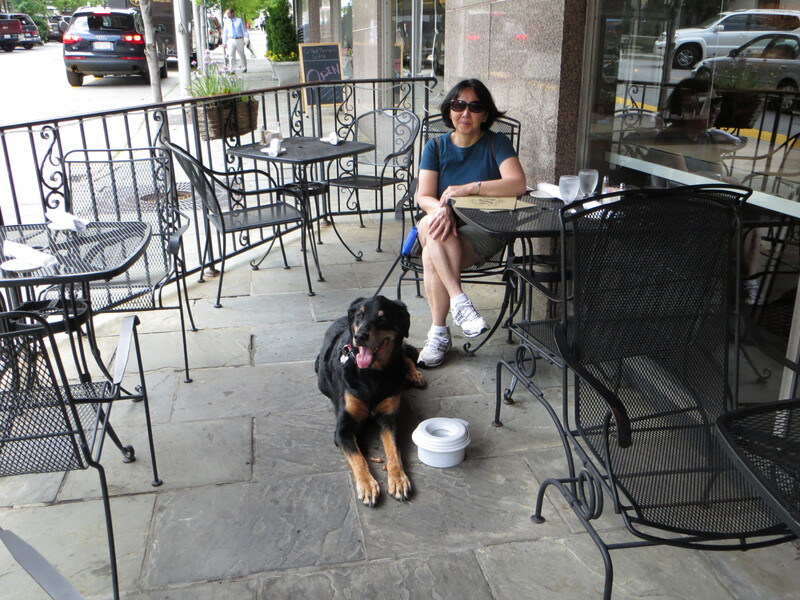 The blogging started with my 120 pound Bernese Mountain Dog/Doberman mix, Ralph. We traveled a lot with Ralph and I noticed a distinct lack of online information about traveling with a large dog. That led me to start a big dog travel blog, “written” by Ralph, about large dog-friendly travel. Many of Ralph’s travels involved (dog) history and historic sites, because that’s where my interests lie (and because Ralph wasn’t old enough to drive, he was at my mercy). When the end came, for Ralph and his blog, I found that I’d been bitten by the blogging bug. So Ralph’s travel and history blog became my travel and history blog, minus the big dog. So I write for my pleasure. But I hope that it provides pleasure to readers as well. I’d like the blog to entertain and, in the process, provide some travel information and teach a little history. I try to enjoy my travels without getting too bogged down in the blog post that I’ll eventually write (although, I admit, if I end up in a situation that seems like it’ll make a good blog post, I might nudge it along). I take a few notes and dozens of photos, to jog my memory. That’s particularly important because I may not get around to writing about a site for months after the visit. The actual writing starts as a chronological trip report. Then as the report develops, I start remembering anecdotes and details. I also do some historic research, to confirm facts told to us on a tour, or fill out details. I’m a mental health researcher by education and profession (my undergrad degree was in history, but I ended up continuing in psychology) so I’m rather into the research part. Soon it becomes a bloated blog version of Jabba the Hutt, so the final task is to edit it to about 500 words and 4 photos. 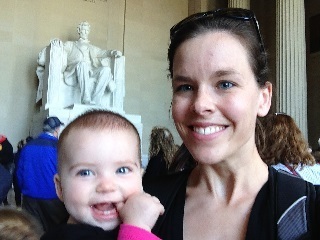 Meg is an adventure-loving mom, teacher, writer, and military spouse. She tries to make the most out of each new location that the military decides to send her family and have so far been lucky! She enjoys visiting historical and quirky places, trying new food and drink, and sharing her journey with others. Camille began her blog as a fun way to escape the stress of the daily grind, and to give her a way to look back fondly on her travels. 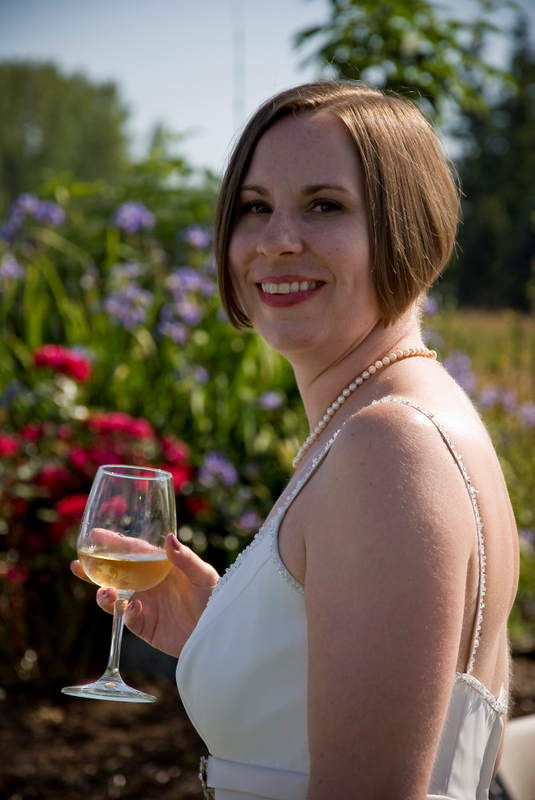 Her main topics are wine, history and travel, but there are often posts on other areas of life. Camille and her husband Jon both have a love of history, and enjoy spending their vacation time visiting historical sites and battlefields. Jon does have some limits though, so Camille never makes him go on more than three historic home tours a day. Camille also has an appreciation for historic toilets of all shapes and sizes, and historic cemeteries. They both love hiking and visiting the National parks, and have a goal of one day visiting them all. Camille’s friends and family often try to convince her to spend a vacation just lounging on the beach, but she would prefer to combine her love of travel and history, and share it with her readers. Along with her favorite wines. Susan, it was very interesting to see how you put your blog together. I also try to stick to around 500 words, but sometimes it gets longer, depending on the topic. Happy Travels! Five hundred word is hard and sometimes my paragraphs don’t flow together as well as I’d like. My transitions are rough. But I’m working on it. Love this idea!!!! Susan –you do a great job with your blog! It’s a mutual admiration society: I’m a fan of your blog. Thank you for the feature! I have to agree – I have loved seeing your different perspective on the same places. As well as getting ideas on all the places I want to go! I love reading about places I’ve been and get ideas for places I want to go. Your southwest tour provided lots of ideas for a trip in the near future.